Our bearings are oiled, our skates are laced, we’ve been in intensive training and are ready to hit the track to bring you an explosive season! 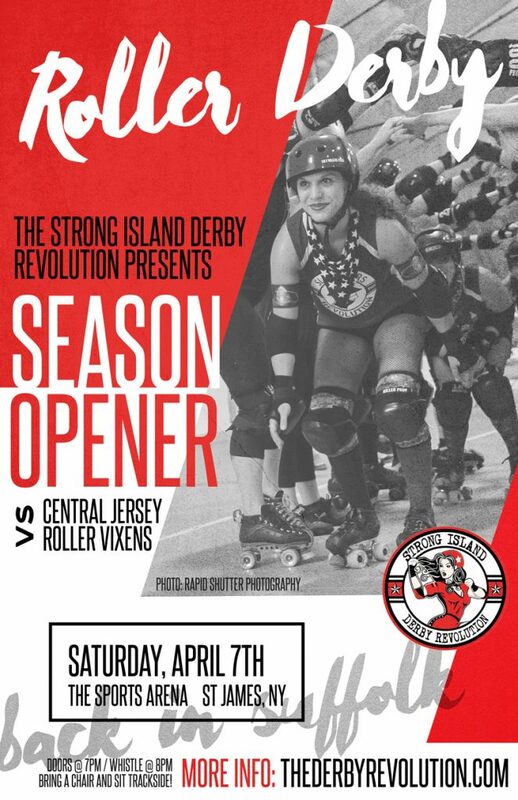 We are kicking it all off with our season opener against the Central Jersey Roller Vixens on Saturday, April 7th. So tell your friends and don’t forget your cowbell! Come on down to our new home at The Sports Arena at 620 Middle Country Rd, St James. Bring a chair and sit trackside, or join us in the bleachers for an eagle eye view. Our little fans under 8 get in free! Doors open at 7 PM and first whistle is at 8. RSVP on our facebook event or grab some early bird tickets!